Knitting and Stitching Show Madness! 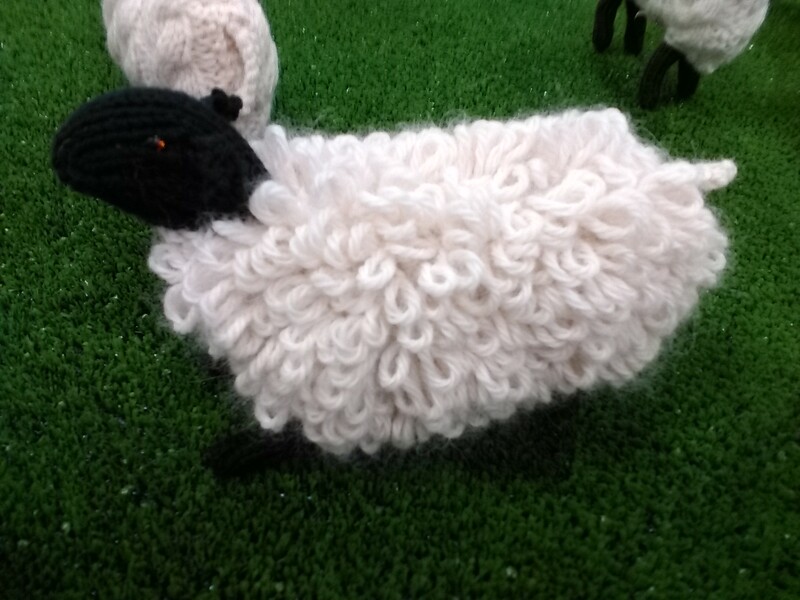 Well, it’s a week since I went to the Knitting and Stitching Show at Olympia in London. My Mum was kind enough to come up with me and left me with a little present in the form of a nasty cold! So I’ve been feeling a bit sorry for myself, what better way to cheer myself up other than having a gander at the lovely stash that I brought home with me! 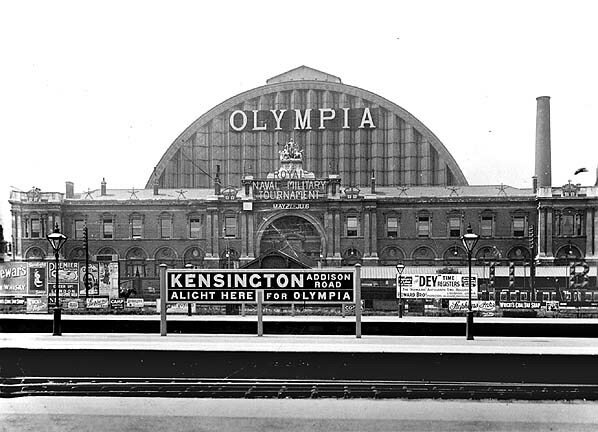 I don’t think I’ve ever been to Olympia before, for the uninitiated, it’s an exhibition centre in Kensington, West London. I love this old photo – much has changed in the area, but Olympia remains pretty much as it is here. 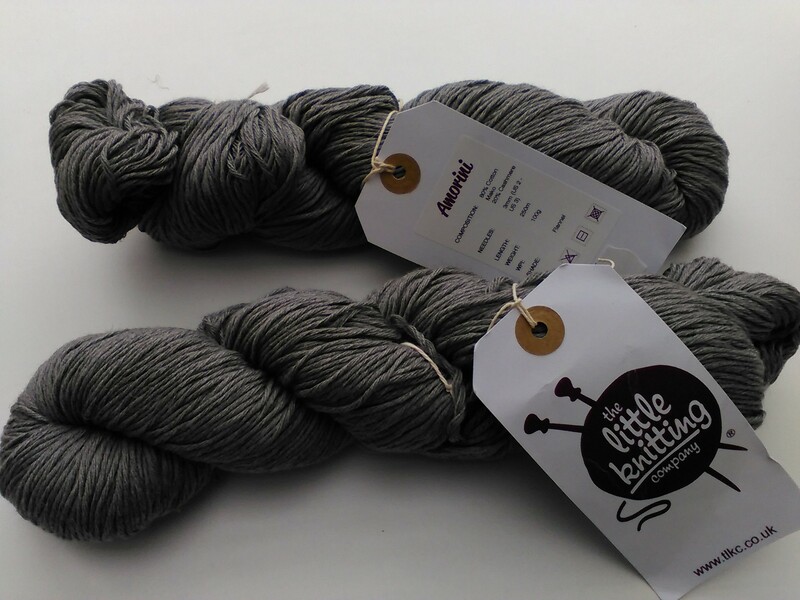 I was a bit remiss in taking photos on the day – blame my yarn obsession for that! As we arrived we only just had time to book into a needle-felting class which began immediately… We were making a bee – mine wasn’t quite finished and a bit, erm, shall we call it ‘rustic’ so I haven’t taken a picture of it to post here! As well as the expected suppliers and manufacturers, there were a few fun surprises. The lovely people at Toft had brought their crochet jungle with them (sadly I didn’t get a picture!) full of monkeys crocheted by newcomers and experts alike – with funds and awareness-raising of Birmingham’s Children’s Hospital and Noah’s Ark Hospice. 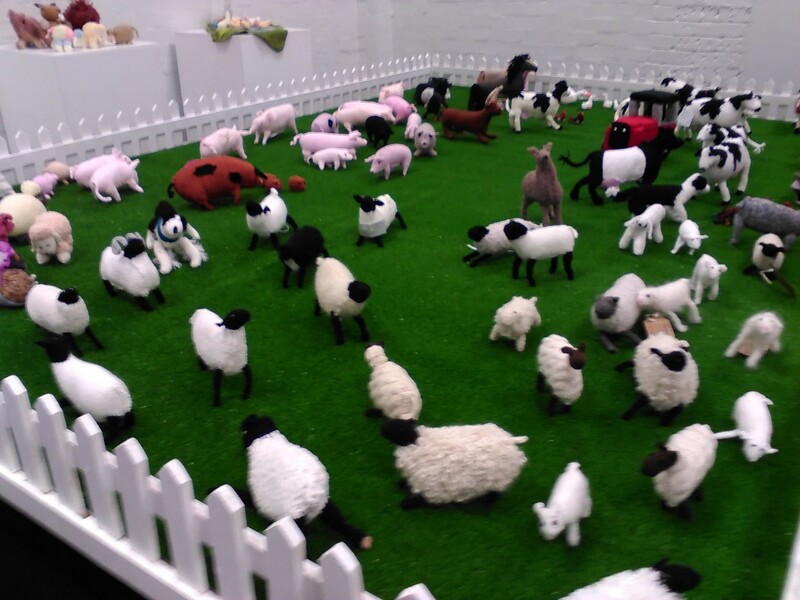 Another fun thing was the Knitted Farm – some of the work was quite remarkable. This was a competition organised by the Show and the winners can be found here. I was thrilled to see a stall there by Cats Protection – I worked for them for several years before I moved down to Wiltshire. I also met up with an old friend who was manning the stall – she arrived just at the same time as I found the stall – what a happy coincidence! 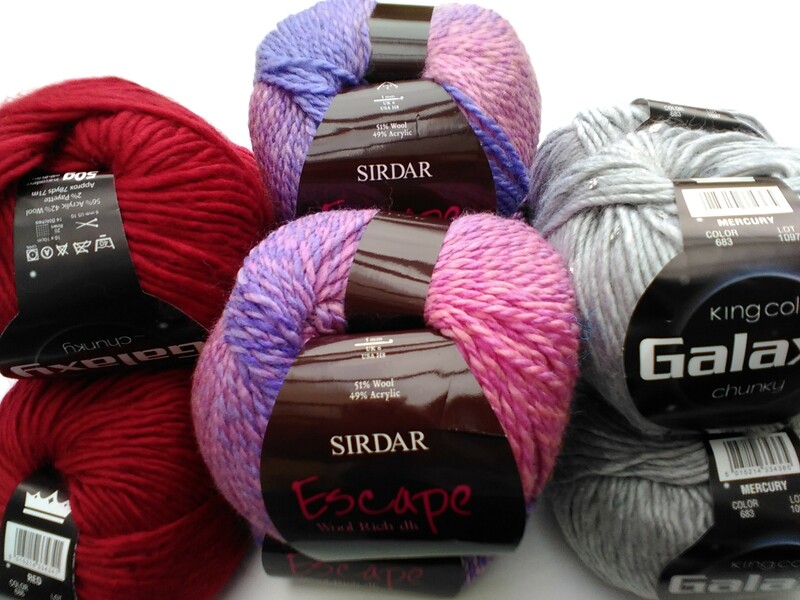 Firstly my bargain yarns – I got four balls of Sirdar Escape DK as well as three balls each of King Cole Galaxy Chunky – all for £20 – bargaintastic! 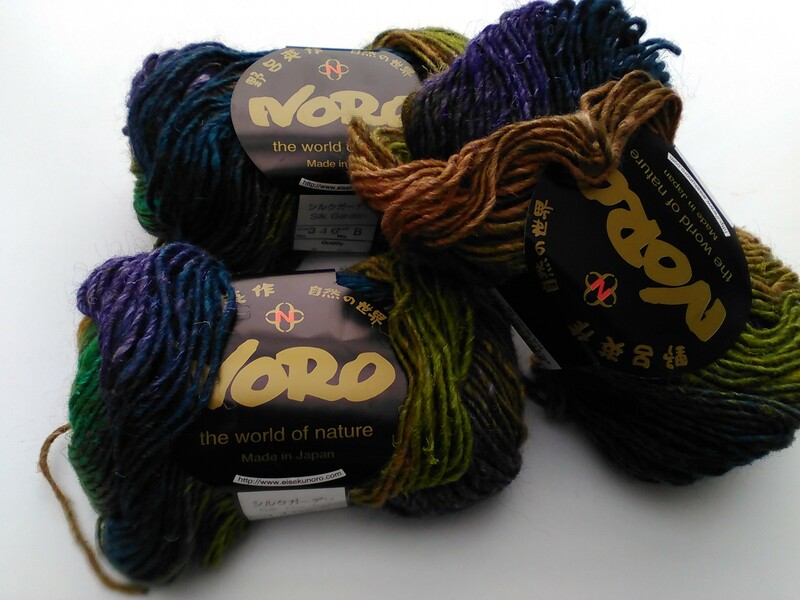 Next up is some beautiful yarn by the Japanese firm Noro – a gorgeous mixture of 45% Silk, 45% Kid Mohair and 10% Lambswool. The overcast weather here in Wiltshire has dampened the colours of this – it is absolutely glorious. The colourway is a mixture of blues, green, purple and yellows. I’ve wanted to try Noro yarns for ages – I have a great respect for the craft skills of the Japanese people. One day I hope to go to Nippori in Tokyo – my dream craft destination! This Debbie Bliss Winter Garden is a tweedy mix chunky yarn made from 30% Llama, 30% Merino Wool, 20% Silk and 20% Linen. 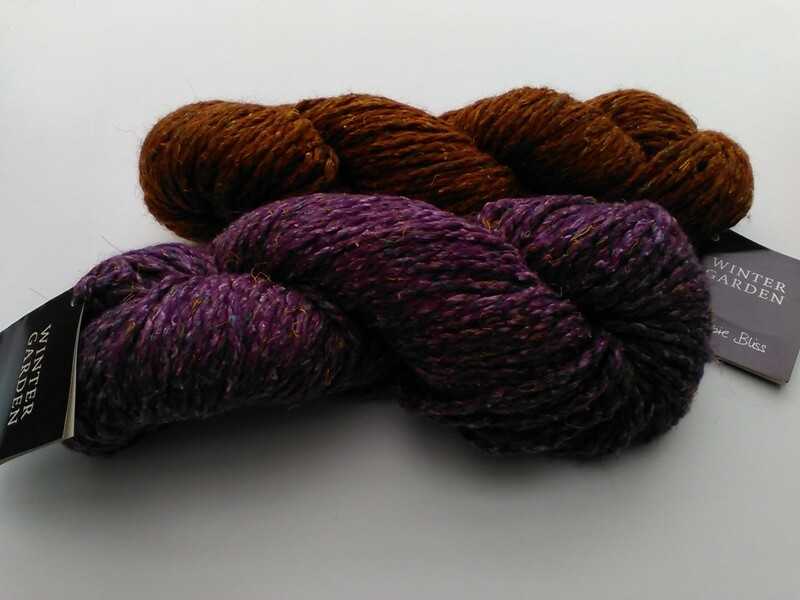 The colours are gorgeous – rich purple and a russety conker colour. Makes me think more of Autumn than Winter! Further rummaging was needed to find the next ones – by this point Mum had given up and gone home. I couldn’t resist these from the Little Knitting Company – 80% Cotton and 20% Cashmere, they have the most lovely feel to them. 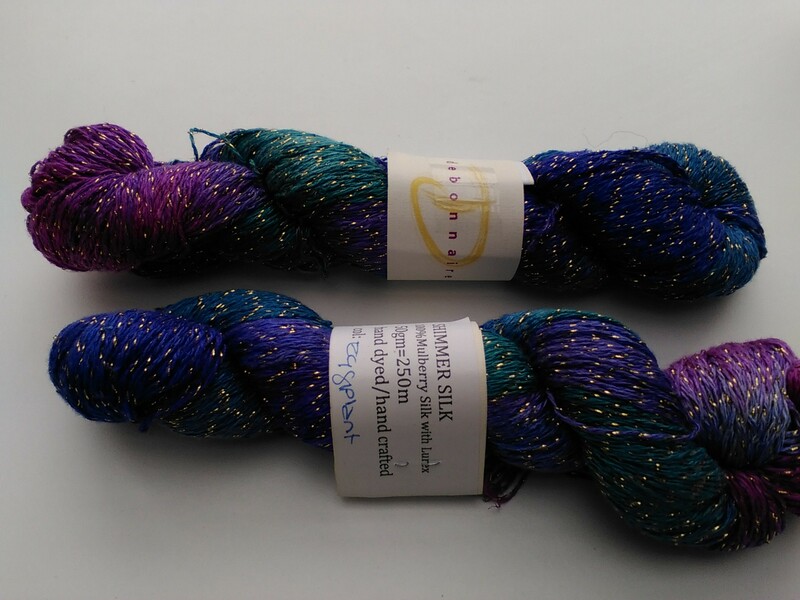 Finally I went a little mad at the last knockings, buying (left) Debonnaire Silk/Lurex mix in jewel colours (regular readers will notice a pattern here!) from Ehdknits and last, but certainly not least, my most favourite stall was Watercolours & Lace – (right) – such wonderful hand-painted and dyed natural fibres. I bought two and then went back for another one – I couldn’t resist! I bought Cashmere Silk lace in the softest purples and blue-greens, a Baby Alpaca/Silk mix in soft rose pinks and at the back a Merino Fine Lace in gorgeous blue-purple, reminding me very much of Delphiniums. This is such a beautiful shop, I heartily encourage you to seek them out at a Fair or even buy online. 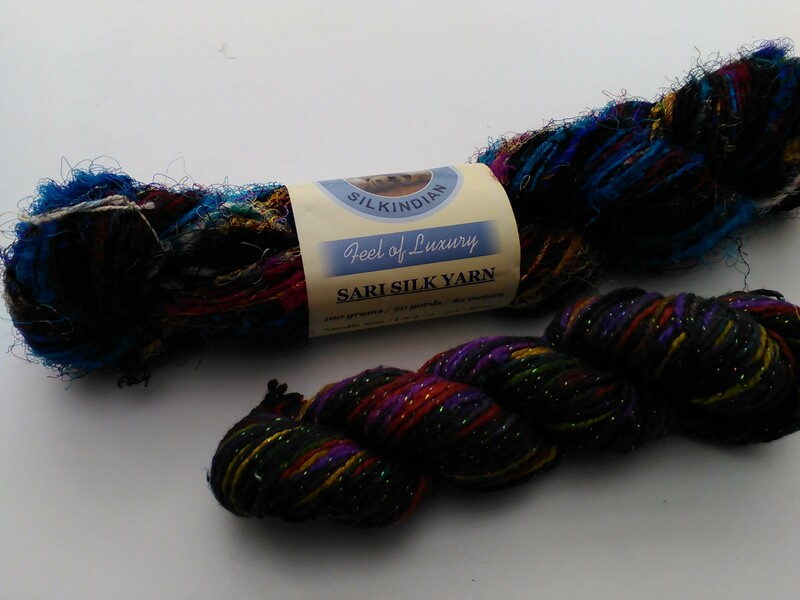 I can’t think of a more gorgeous range of quality yarns. So that was the sum total of my first Knitting and Stitching show – lots of beautiful wools and yarns to be going on with. When is the next one!? !